wondering if it’s possible to honor your introverted nature and still be a successful entrepreneur? craving resources that take your introversion into consideration? feeling isolated, stuck, or too close to your work and wonder what you’re missing that could make all the difference between surviving and thriving? 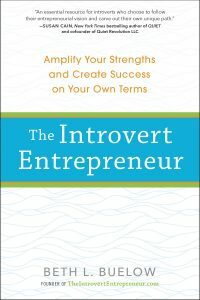 TheIntrovertEntrepreneur.com is a personal and professional development site that provides resources for introverts and those who live and work with them. The goal is to create empowered, productive introverts who can contribute their best selves to the world. And key to that is understanding and appreciating what it means to be an introvert in an extrovert-leaning world.